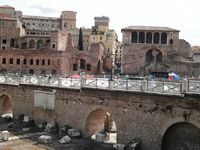 Property 4: Massenzio, a little jewel in the heart of Rome, a stone's throw from the Colosseum. 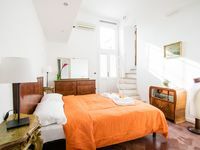 Property 15: SPANISH STEPS - CHARMING APARTMENT IN THE HEART OF ROME ! AC - FREE WIFI - 4 GUESTS - BIG PRIVATE TERRACE!! Property 23: Domus Ciancaleoni New Red Suite 1st in Quality and Service. Not in Prices! Property 26: Apartment in the center of Rome a few steps from the Vatican! Property 29: A beautiful view apartment in the Historical Center - Navona square!